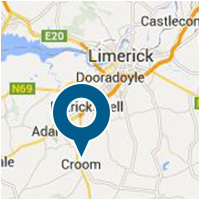 Croom Precision Medical has a proven track record in transferring customer’s existing steady-state device manufacturing into its facilities. Our dedicated Manufacturing Transition Team employ a structured and proven project approach to seamlessly transfer products from your facility or replicate manufacturing at your facility. Customers have retained Croom Precision Medical for a range of manufacturing transfers from simple single product lines to complete facility transfers. Our transfer service has assisted companies to free-up resources for new or next generation devices at existing sites, execute on corporate strategies to outsource non-core products or achieve significant cost reductions while maintaining product quality and volumes. The transfer process is an ideal window in which to achieve these efficiencies by undertaking DFM, process optimization, sustaining engineering, process automation, supply chain optimization and the application of lean manufacturing and continuous improvement methodologies.